Home › Bibliography › LACMA Unframed w Ken Gonzales-Day. LACMA Unframed w Ken Gonzales-Day. Ryan Linkoff. Q&A w/ Ken Gonzales-Day. LACMA UNFRAMED, 19 Oct. 2011, Los Angeles. “In anticipation of photographer Ken Gonzales-Day’s lecture on Edward Kienholz’s Five Car Stud this Sunday, we sat down with the recent Photographic Arts Council (PAC) Prize–winner to discuss his work—including Profiled, his 2011 PAC Prize publication—and how it relates to the politically engaged Five Car Stud. In Profiled, Gonzales-Day examines the construction of Western ideas of race and identity from antiquity through the twentieth century by photographing portrait busts. 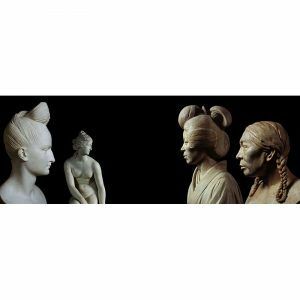 Though the busts themselves are very much relics of previous centuries, Profiled is as much about the present as it is about the past, providing a new perspective on what it means to be profiled in our own time. ‹ Ken Gonzales-Day: Profiled at the Koppelman Gallery.